Are you a professional photographer or perhaps a videographer? Do you need extra storage space to store files, music, or perhaps photos?We know how quick a computer or phone gets packed with additional files. This is where the best external hard drives in 2019 can help you out. Depending on your needs, we have a list of different types of external hard drives that you can choose. We cater for the expert photographer who needs a large capacity to a student who needs something more portable. If you own a business, you can even find the right storage capacity with us that is durable and makes transferring of documents easier.The good news is that you can find a less expensive model starting from 50 bucks up to 150 bucks. You can even find a terabyte model to add to your desktop or laptop here with us.This type of device offers you sufficient space to house loads of files and free up space in your desktop tower. If you are fortunate to own a tower with different I/O ports, you can even hook up more than one. 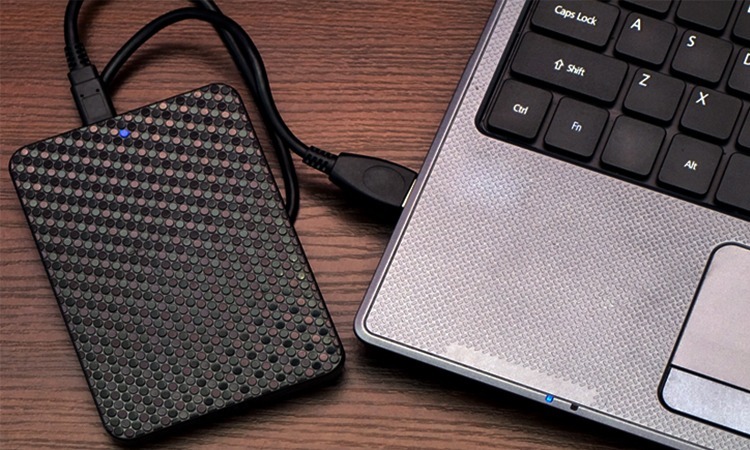 Here you can find a list of the top 7 best external hard drives available in 2019. Whether you own a business or need extra storage to keep photos and more, the Seagate Expansion 2TB is perfect. With the 2 terabytes, you can copy large files quickly. The best of all, this model does not break the bank. The other good news is the STEA2000400 you can buy in different capacities ranging from 1TB to 4TB. The device has a sleek design with a black exterior finish and portable enough to take anywhere. You can buy it as the hard drive alone or include a durable case. The nice thing is that you can throw this external hard drive into your bag on your way to school, a business meeting, or visiting friends. The drive spins at 5.400 rotations per minute. Another exceptional feature is that you can connect it with your PS4 if it has the latest 4.50 version. Compared to the Seagate the Silicon Power 1TB external hard drive has a durable Armor A60 shockproof and water-resistant design. You can use the hard drive on your PC, Xbox One, PS4gaming consoles, and Mac. This model is one of Silicon Powers new designs. For game lovers, this is the best external hard drive you can own at an affordable price. The color is outstanding and the fact that is has a sleek design is great to take with you anywhere. Not only is it durable even copying to the drive is speedy at 120 MB for reading and 115.8 MB for writing. 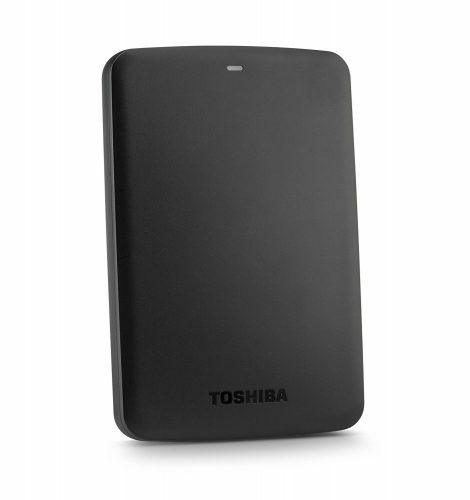 Another affordable portable hard drive with loads of space is the Toshiba Canvio Connect II offering you a 2TB capacity. The hard drive has a standard black finish and you can backup and restore files for disk recovery. Furthermore, it is cloud-enabled and you can schedule the backup to run automatically. No matter what your needs are when it comes to storing data externally, the Toshiba Canvio Connect II can help in a jiffy. The portable drive is easy to use and has an excellent transfer rate. If you do not need a large capacity to keep your digital files safely stored, the WD 1TB My Passport portable hard drive is the one to have. This is another external hard drive with an excellent price. Not only is the price superb you can choose your color style from black-gray, white-gold, black, blue, orange, red, white, and yellow. 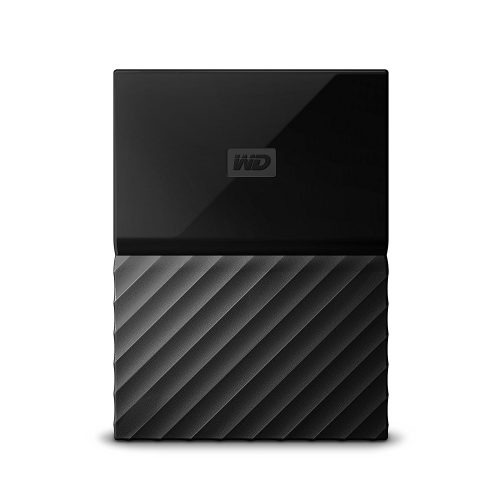 The WD 1TB My Passport external hard drive is RoHS compliant and is perfect to keep your digital data safely stored. Take it with you anywhere with the portable and shock-resistant design. Another standout is you can connect the WD 1TB external drive to your Xbox One or PS4 to transfer games for safekeeping. 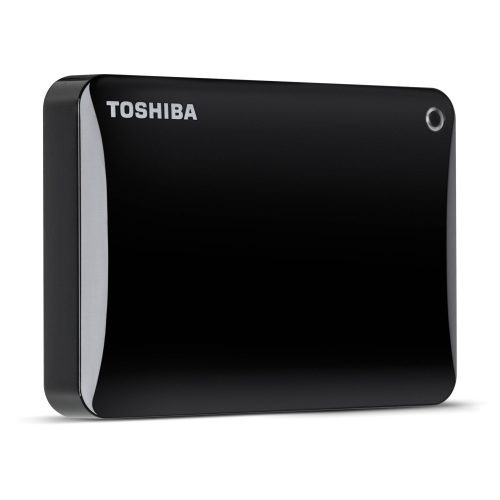 The Toshiba Canvio Basics offer you a 1TB capacity with a 5400-RPM speed. You get a transfer rate up to 5 Gbps with a 12ms seek time and an 8MB cache buffer. The great thing is the Canvio Basics works with the Xbox One to keep games secure. Keep your data safe by using this outstanding external drive to make backups of all your important files. The design is durable, portable, and affordable. The only downside is you can buy it in one color black. If you are a Mac user, even you can backup your data to an external hard drive for safekeeping. This is possible with the Seagate Backup Plus 4 TB model. The STDS4000400 is great to use if you have a home business. 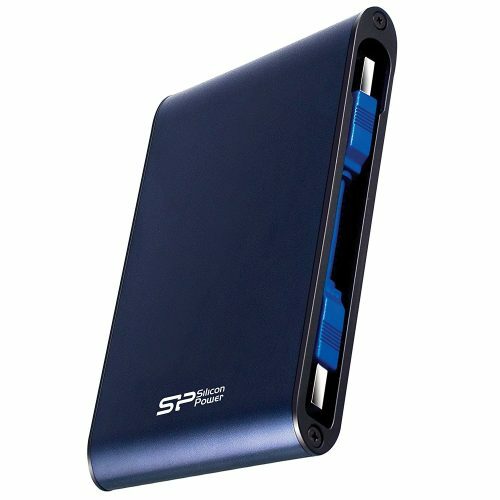 The external hard drive has a portable design with fast speeds. 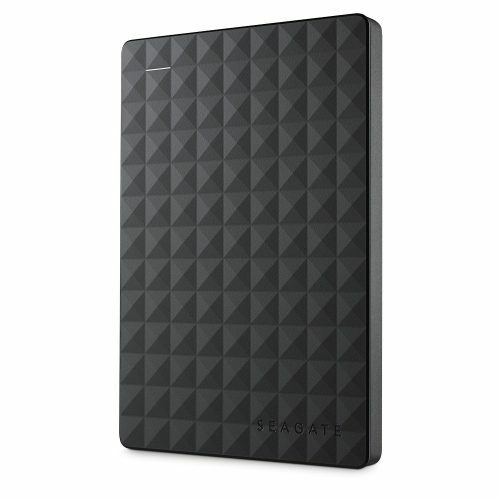 The Seagate Backup Plus 4 TB is an outstanding external hard drive suitable for any small home business or home user. The design is slim and portable to take with you to school, business meetings and more. 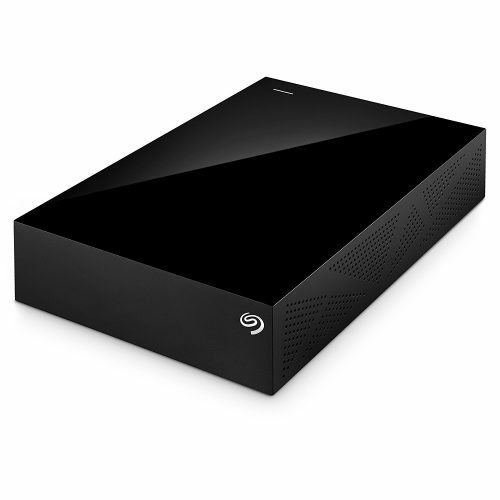 If you need something a little bigger than a 4TB to backup your desktop, look at the Seagate Backup Plus 5TB model. Enjoy plug-and-play functionality for your PC with the STDT5000100. 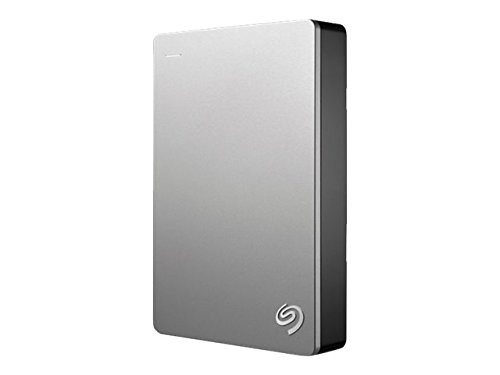 If you need an external hard drive to backup your NAS, the Seagate Backup Plus 5TB is perfect. The design is compact and does not take up loads of space and even the cables not short. The great thing is you can use it with your PS4 to make backups of your games as well. Whether you need to backup your entire PC or want to keep your digital files stored, we hope our list of the best external hard drives can help you out. Everyone needs an extra storage device. The important thing to remember when looking for the best model is the speed, storage space, and portability. Furthermore, the external hard drive needs to be reliable. We hope our favorites help you to find a suitable one. Each model is USB compatible and you can use them on your PC, gaming console, or Mac.